Indigenous women forum (NIWF) of Nepal Yasokanti Bhattachan along with Kamala Thapa coordinator of NIWF (National Indigenous Women's Federation) who attended the 17th session of UNPFII meeting which was held in the United Nation headquarters in New York. The representative of Nepal and global Vice President Chaudhry shared his experiences and how he works with the United Nation at the policy level. 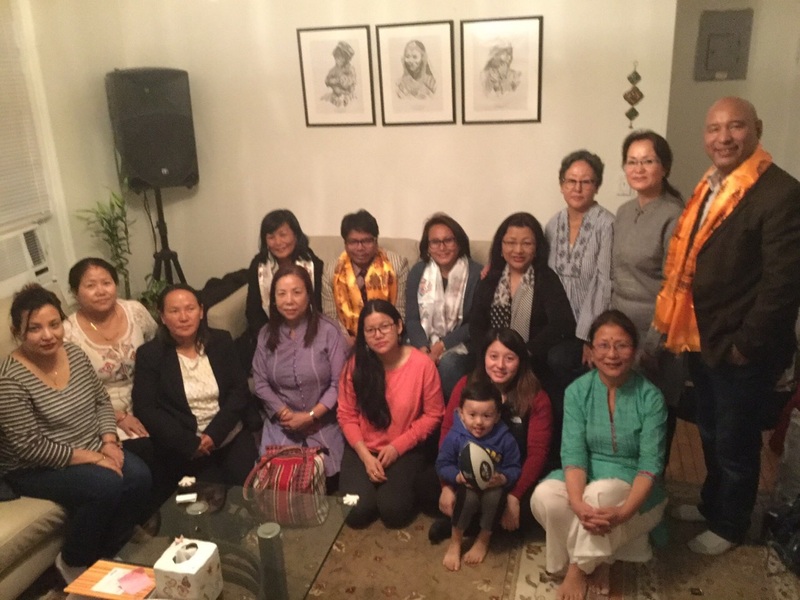 The overall concern of the FIWNA was to use the resource sharing process to work for the migrated Indigenous women of Nepal in the United State networking throughout the nations. The Chaudhry also clarified the participant’s interest in the UN system and how it is working for the Indigenous people for upcoming sessions. The MS.Bhattachan who has worked for the Indigenous women's right for a long period of time also shared her experiences of the meeting and how the Indigenous organization has performed their collective roles to protect the Indigenous women's rights in the national and international level. Ms. Kamala Thapa expressed her opinion to use the resource to work out for the migrant indigenous women with the proper and diligent research. Most of the donors focus on the developing countries and the resource access to the organization which works in the United State is very tough. The editor of Everest Times Newspaper Nyigma Pakhrin as a guest recommended to Mr. Chaudhry to help out lobbying to UN in policy level to have the access to the indigenous women of Nepal who are working around the world because they will work for the nation even though they have spread throughout the nations. The Nepal government hasn't yet any provisions where the voice of voiceless people is heard openly and discussed every year. At least the United Nation has a separate provision UNPFII under which the world indigenous people gathered for the meeting share their problems what they have suffered in their countries and give some recommendations. The theme of this year's meeting was the “Indigenous People” collective rights to their lands. According to the provision of ILO 169, the indigenous people have the right for their land and no one can work out their land without their prior consent, but this right has been violated in many countries since the government uses their land without their consent. That is one of the biggest challenges for the Indigenous people of the world. The UNPFII collects the recommendation from the world indigenous people and tries to implement in their respective nation to preserve their rights in different ways. The Indigenous women in the own country have been the victim of double discrimination; the first being the women and second being the indigenous women. It is very difficult to fight for the national resource and to have access to the decisions making level. While observing the scenario for the migrated indigenous women; it is also not that easy. Not all of them have a higher level of education to compete in the global labor market. They have to satisfy their life only working with the low-level of a job for their survival. FIWNA has been working to serve the women who need the support for the job, translation and other basic support voluntarily as possible it can. It looks forward to working in the wider area to uplift the living standards along with the preservation and protection of the languages, culture, and identity in the foreign land transmitting them towards the future generations.